Welcome to Space Future Japan! 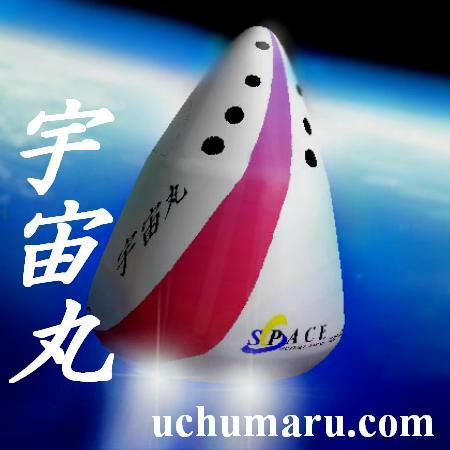 It is Space Tourism Portal site. Also alone, we expect that it can understand and obtain about a space tourism of many people. Some people say they do not believe that space travel will ever be cheap "Because if it was possible, Nasa would already have done it by now". This sounds logical - but it is not correct. In order to understand why, you need to understand about space agencies' problem. However, in short, space agencies and government space policy-makers have specifically chosen NOT to develop space passenger travel. This prevents most commercial space activities - which of course require commercial demand. For example, the SpaceShipOne project could have been carried out in the 1970s. Governments had developed sufficient experience of rocket-plane operations in the 1960s to be able to start commercial sub-orbital passenger flight services in the early 1970s. But they chose not to. If they had done that, commercial spacelines would have started operating passenger flights to orbit during the 1980s - and the world economy would be in a much healthier state than it is today. Soyuz, Space shuttle, Ariane, H2A, Concorde and many other aerospace vehicles have ALL been developed for government organisations using taxpayers' money, and then given to companies to operate. However, governments have chosen not to do this for passenger-carrying space vehicles. This major decision has prevented space activities from contributing much to the economy. Unfortunately this is not widely understood by the general public, taxpayers, and young people. One of the objectives of SF/J is to teach people about this problem, so they will press the government to change this disastrous policy, and set the space industry contribute to the economy by collaborating with the aviation industry to develop passenger space travel services. In Japan, for example the best way to start is to develop the uchumaru vehicle. Some people worry that space travel will be very dangerous. However, this is wrong; passenger space travel will be as safe as air travel. This is because passenger space vehicles - whether they take off vertically like RVT or horizontally like SpaceShipOne - will operate like aeroplanes. That is , each vehicle will fly many many many times, and engineers will check them in between flights. As they fly more and more they will accumulate statistical information, which allows engineers to learn what maintenance procedures are necessary to achieve high reliability and safety - as they have with Boeing and Airbus airliners. This is completely different from the rockets that space agencies operate, which are used only once each, like missiles. Consequently each launch is a first flight, with far too little information to achieve high reliability. And each launch vehicle, on its very first flight, has to reach a speed of 8 km/second in order to reach orbit. A Boeing engineer has said that if the first flight of each airliner they produce was a long-distance flight, many would crash. However, new airliners make a series of test-flights, so that any problems remaining after manufacture can be solved safely. RVT and SpaceShipOne both do exactly this, making a series of flights that gradually go higher and faster. SpaceShipOne's budget is 20 times that of RVT, and so it has been able to make much faster progress. This is because the government refuses to give a reasonable budget to the RVT team, although it is the most economically valuable project in the whole space industry in Japan as discussed here. When the RVT team is given a reaonable budget, they will be able to fly it and its successor Uchumaru progressively higher and faster, and achieve whatever level of reliability is required. Like an aeroplane, in order to carry passengers, they will need to prove its safety - which they do by flying repeatedly, however many times is considered necessary - 50 times, 100 times, 200 times. Each flight is very cheap, and can be used for research, so such an activity is very valuable in itself. But it will also start space tourism in Japan - which will be very popular throughout the country. It is important to remember that air travel today is more than 100 times safer today than it was in the early days of jet travel in the 1960s. Today about 1 airline passenger in 10 million dies in an accident; in the 1960s it was about 1 in 10,000. Yet air travel was still popular in the 1960s. So the first regular passenger flights to space will probably be as safe as 1960s air travel; reaching today's level will take some years of operating experience. What level is acceptable will be decided by customers. By contrast, today's launch vehicles have a failure rate higher than 1 in 100; for most people - for example those with family reponsibilities - this is much too dangerous. But space agencies only operate such vehicles. It is well-known that government monopolies are very conservative organizations which never want to try anything new or different. But if this was allowed to continue then Japanese industry would never play any role in commercial space development. It has to change - and as soon as possible, before Japan is overtaken by other healthier countries like Korea or Taiwan. Traveling to space, spending a few days in zero gravity and returning to Earth, poses very little risk to passengers' health. There are four potential problems which have been identified, but each is well-understood and can be controlled. 1) During launch to orbit and re-entry into the atmosphere before landing passengers feel strong acceleration (and deceleration) several times the gravity on Earth - about 3G up to 6G. Vehicles will be designed so that passengers will be lying down as they accelerate upwards. In this position, even 8G is not at all stressful for most people - your arms and legs feel heavy so that you can hardly move them, but it is not in any way painful. 2) On Earth, gravity continually pulls the blood in our body down towards our feet. (That's why your face goes red if you stand on your head - the blood falls down into your head.) So in the weightless environment in space, blood shifts within the body; the pressure in your head rises and falls in your legs. (This is why photos of people in space show them with rather round faces.) This is of no danger to most people. 3) Passengers will receive a higher does of radiation from space than we do on Earth, since much is absorbed in the atmosphere. In a few days in low Earth orbit passengers will receive as much as we receive in about 1 year on the ground. This is of no significant danger for most people. Dr Melchior Antunano, responsible for medical safety at the FAA, has explained the difference between the approaches of civil aviation and space agencies. Space agencies are government organisations which select who will travel to space. However, airlines are profit-seeking organisations, and they want as many customers as possible, since this makes them rich. The FAA and other national and international aviation organisations do not try to prevent certain people from flying on airlines; they give advice about health risks, and passengers decide for themselves. Their objective is to preserve the maximum possible freedom for passengers. a) People who have heart disease should consult a doctor about whether the shift of blood in weightlessness will be dangerous for their heart. b) Women who are pregnant should not travel to space, since unborn baby is particularly sensitive to the increased radiation in space. c) People who are taking drugs for their brain - such as for epilepsy - should consult with their doctors in case the altered blood flow in their head may affect the drugs' influence. So, like airlines, spacelines will give advice to passengers so they can avoid any risks. The other danger to health is of course the risk of an accident of the vehicle on which travelling - which will be kept very low by developing reusable vehicles, as discussed in the discussion on safety. SF/J has many ideas for activities which will be of interest to sponsors/investors. 1. We can advise on opportunities which could earn a profit for business investors. 2. We can advise on activities which will receive beneficial publicity for sponsors relating to some aspect of space tourism. 3. We can advise those who wish to support an activity of value to humanity, and with which they may wish their name to be associated publicly. SF/J has proposals for all three groups, and we can advise and collaborate on all types of project, from small-scale to large-scale, and including both conventional and unconventional approaches. Overall, development of a commercial sub-orbital passenger vehicle needs investment of ten billions yen. Development of an orbital passenger vehicle requires investment of Hundreds of billions of yen . Both these projects are innovative and face considerable uncertainties. Consequently they are not of interest to most investors. When these vehicles are developed, whether by companies or by governments, many new investment and sponsorship opportunities will arise. Indeed, many such opportunities will arise even before such vehicles are operating - as soon as they start to be developed. Timely preparation will allow investors and sponsors to profit from these opportunities. SF/J can advise on these. Until that time, investors and sponsors need to consider a different range of activities, that do not depend on these vehicles. SF/J can advise about many such possibilities, from Millions of yen upwards, from conventional to high-profile activities. Please do not hesitate to contact us; we guarantee that you will be intrigued and surprised by the possibilities that we have prepared.